Ben-Ari’s destruction of, and insults toward the Bible, come as Christians United for Israel(CUFI) – what claims to be the largest pro-Israel organization in the United States – meets for its annual conference in Washington. Alan Dershowitz has a dream, one that is probably shared by many of his ilk, but one that is as much divorced from reality as he is himself. 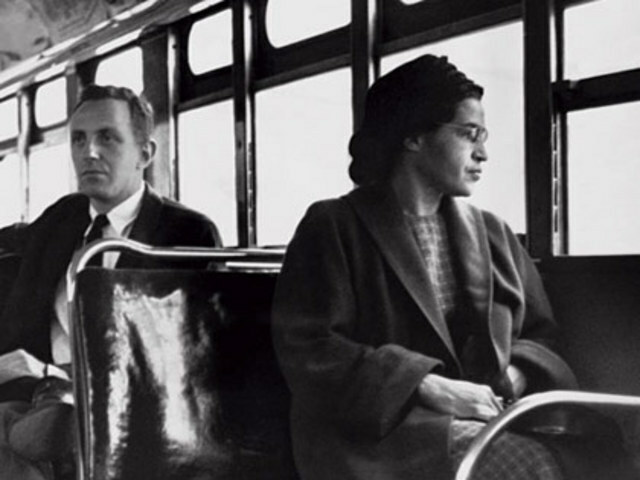 Alan Dershowitz believes that radicals can be defeated. The reality is that there are many open-minded people, even in Europe and on university campuses. ….. Exactly why his thougts are nothing more than a dream. I was gratified to read the article by Kasim Hafeez, (see article HERE) a former anti-Semite who had become a Zionist. I was particularly gratified to learn that my book, The Case for Israel, played a role in his conversion from irrational hatred to support based on his own observations of the reality of Israel. But whenever I get discouraged, I recall an incident several years ago at the University of California at Irvine, which is a hotbed of anti-Israel hate speech. This is the very same campus where radical Islamic students tried to prevent Israel’s moderate ambassador, Professor Michael Oren, from speaking. About a year before that incident, I spoke to a full audience of students that included some of the same radicals that tried to shut Oren down. About 100 of them sat to my right. Another 100 or so students, wearing pro-Israel shirts and kipot, sat to my left. 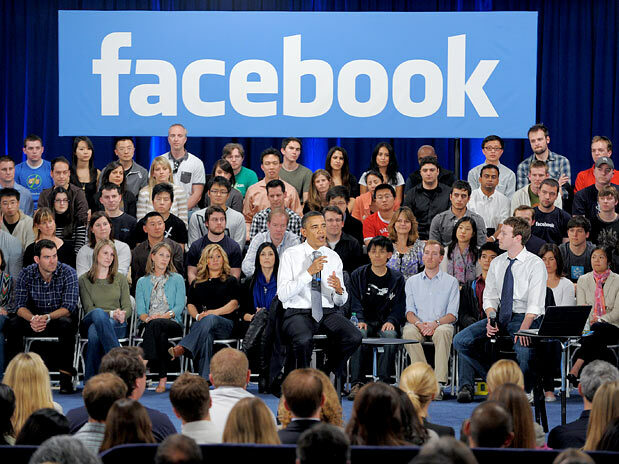 Several hundred additional students were in the middle – both literally and ideologically. I know that because I asked for a show of hands before I began my remarks. I first asked for students to raise their hands if they generally support Israel. All the students to my left and several in the middle raised their hands. I then asked how many students supported the Palestinian side. All the students to my right and several in the middle raised their hands. I then posed the following question to the pro-Israel group: “How many of you would support a Palestinian state living in peace and without terrorism next to Israel?” Every single pro-Israel hand immediately went up. I then asked how many on the pro-Palestine side would accept a Jewish state within the 1967 borders, with no settlements on territory claimed by the Palestinians. There was some mumbling and brief conversation among the people to my right, but not a single hand was raised. The debate was essentially over, as everyone in the middle now recognized that this was not a conflict between pro-Israel and pro-Palestine groups, but rather, a conflict between those who would accept a two-state solution and those who would reject any Jewish state anywhere in the Middle East. The pro-Israel view had prevailed because I was able to use the extremism of the anti-Israel group to demonstrate the ugly truth about Israel’s enemies to the large group of students in the middle with open minds. 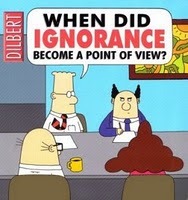 I have now used this heuristic repeatedly on college campuses, and with considerable success. The lesson, I believe, is not to try to persuade irrational anti-Israel extremists, but rather, to use their extremism – which often includes anti-American and anti-Western extremism – against them and in favor of a reasonable and centrist pro-Israel position. The reality is that there are many open-minded people, even in Europe and on university campuses. 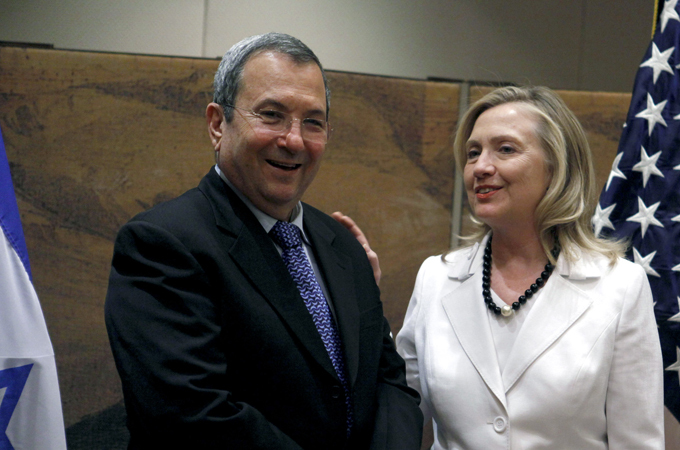 Their voices are often drowned out by the much more vocal anti-Israel extremists. 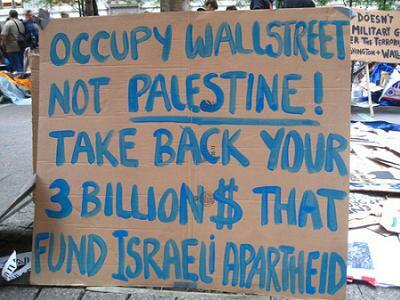 I saw this last year when I was invited to Norway by a Christian Zionist group. The group offered me, as a speaker, to the law faculties of Norway’s three major universities. All three universities refused to invite me to speak, even though my appearance would cost them nothing. One of them said I would be invited, but only if I did not speak about Israel. When students at the universities heard of the faculties’ refusal to invite me, the students themselves asked me to appear. I spoke to packed houses at all three universities, and was told afterwards that I had changed the minds of many students who had never before heard the centrist kind of liberal case for Israel. I will not give up despite, perhaps because of, the increasingly vocal hatred directed against Israel. It is imperative to continue toappeal to the open minds of rational people who want to hear all sides of this complex and nuanced issue. In the end, I have confidence that the power of truth will overcome the lies of anti-Israel extremists. 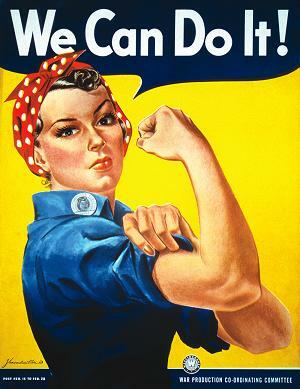 If we believe in the marketplace of ideas, we must persist in our efforts. The conversion of Kasim Hafeez from an irrational anti-Semite to a thoughtful Zionist should encourage us to keep telling the truth. The above toon is a reminder of the last campaign against women by certain sections of the ultra orthodox community in Israel. Now,less than a week after International Women’s Day, anti-womanhood has taken on a new dimension in Jerusalem. Women will have their working hours cut back at certain eateries to satisfy the whims of the same section of that community. Haredi-owned restaurant to stop employing waitresses on nights when yeshiva boys patronize it; owner blames jealous competitors for kashrut supervisors’ strictness. According to the owner, Haim Safrin, zealots, “who are jealous of the place’s success,” pressured the kashrut supervisors of the strict Agudat Israel high religious court, known as the Badatz, to stop waitresses from working on Thursday nights. Safrin, who says he has many non-religious and non-Jewish patrons, says the Badatz’s instruction is not the end of the matter and he wants to find a compromise. “At most, we can move shifts,” he said. Safrin said the Badatz responded that he was right, but wanted to “give it a few weeks to check it out.” He said that although he had received the instruction three weeks ago, waitresses continued to work on Thursday nights. There are many books and references available to document each point. A best seller in the 70’s was a book entitled ‘The Greening of America’. It was a bible of sorts for the flower children of the 60’s. The descriptions in the book regarding personal freedoms and egalitarianism is exactly what is not happening in Jerusalem today. These days we are not seeing a greening of Jerusalem, but rather we are watching it turn black, more-so with each passing day. 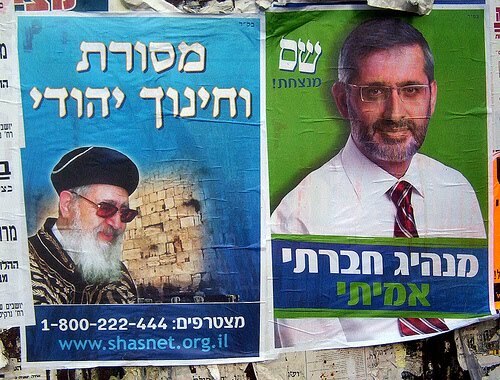 I am not speaking of any particular racial group ‘taking over’ but rather of the ultra orthodox (Haredi) elements that have been making headline news and literally have been taking over the city in recent months. I am watching it happen in my own neighbourhood, which until recently was a bastion of tolerance. 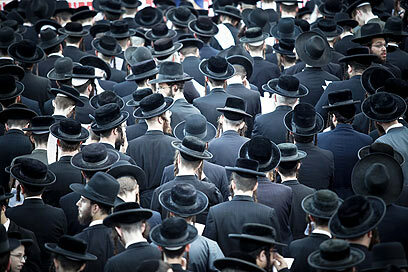 Israel was founded as a secular state much to the dissatisfaction of many ultra orthodox sects. This has finally manifested itself decades later with their total contempt for anything secular as well as anyone that practices the Faith in a more modern or moderate way. In order for the present right-wing government to stay in power, it is forced to include Parties representing these views in an arena they call a coalition government. No move can be made without approval of these enlightened (sic) ministers. Their attitudes have been tolerated by the powers that be as they are the reinforcement of the racist agenda that the state was built on. Recent proclamations by leading rabbis throughout the country forbidding selling or renting property to non Jews (Arabs), having non Jews (Arabs) work for Jewish owned companies, etc.,etc. Attitudes and proclamations that at times get criticised by government authorities, but are never dealt with as a whole. 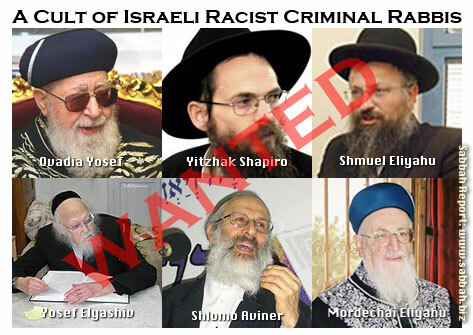 It appears that many of these rabbis have a cult type following, yet nothing is done about it. Then, something might be done to control these unruly mobs of self-proclaimed terrorists. The monster was created, now it must be controlled. Perhaps then we can witness the greening of Jerusalem and the rest of Israel. BTW…. Please note that according to Wikipedia, Many newts produce toxins in their skin secretions as a defense mechanism against predators. 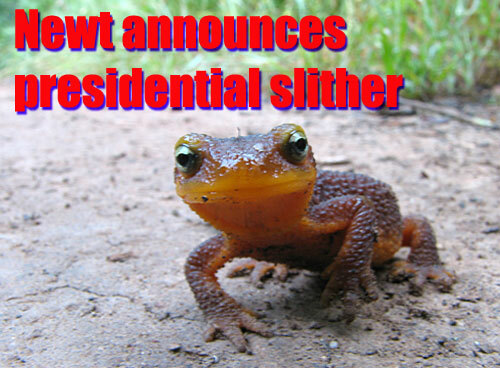 Taricha newts of western North America are particularly toxic. The Florida Family Association believes that “All-American Muslim” is educationally harmful to America’s belief structure. You will get a kick out of THIS video… I’m sure that Newt took it very seriously, he might even be a Board Member of the Florida Family Association. Democratic Sen. Carl Levin of Michigan sharply criticized Gingrich’s comments as cynical attempts to curry support with Jewish voters and unhelpful to the peace process. Palestinian legislator Hanan Ashrawi, a top official in the Palestine Liberation Organization, said that Gingrich was seeking a “cheap way” to win Jewish and pro-Israel voters in next year’s election. Israeli historian Tom Segev, however, said the argument about the existence of the Palestinian people is a thing of the past. “There is no intelligent person today who argues about the existence of the Palestinian people,” Segev said. The AP report that all of the above quotes are taken from can be read HERE. Whenever an idiot opens his mouth, people start probing into their past…. Here you can see what the Huffington Post came up with this week… If Palestine is an invented nation, was Yasser Arafat Newt’s imaginary friend? 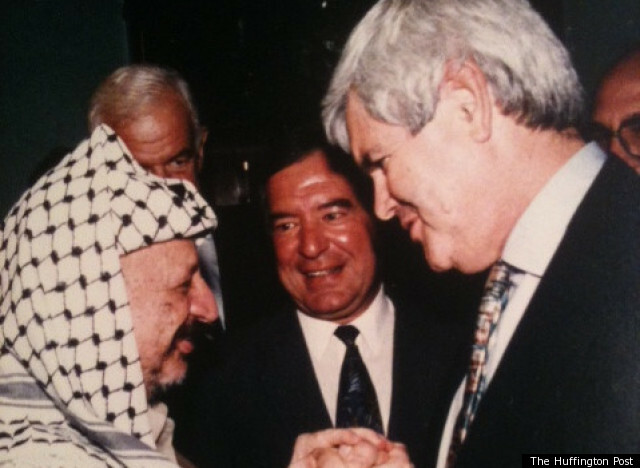 On Monday, a political operative who has been working on Palestine-Israel policy for the past 20 years sent The Huffington Post a picture of Gingrich, then the House minority whip, grasping the hand of longtime Palestinian leader Yasser Arafat immediately following the September 1993 Oslo peace accords. 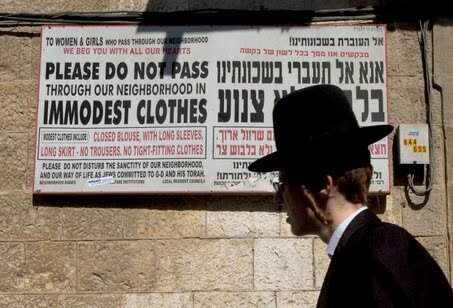 Between the apartheid regime of Israel and the closed minds of the ultra orthodox Jewish community, segregation has taken on a new meaning this week. Not only will there be a total closure of the West Bank as in previous years, preventing Palestinians from entering Jerusalem and the rest of Israel during the festival of Succot, Jewish women will not be allowed to walk on certain streets in the not-so-holy-city. 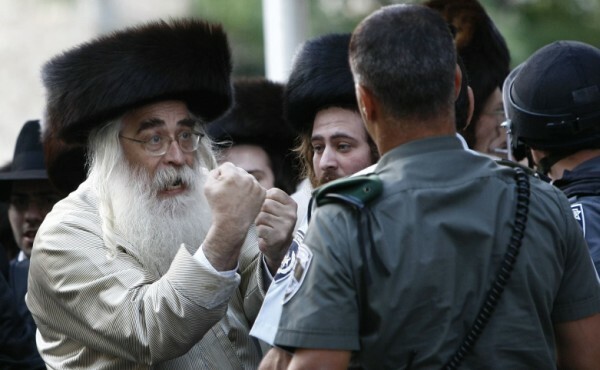 The ultra-Orthodox community in Mea She’arim is planning to impose gender segregation in the Jerusalem neighborhood’s streets on Sukkot, despite a High Court order forbidding it. Women’s rights and other watchdog groups intend to fight against the segregation, which excludes women from certain streets in the neighborhood during the intermediate days of Sukkot. On the Hebrew calendar the year is now 5772, on the everyday calendar we use the year is 2011 ….. Perhaps in 2011 on the Hebrew calendar the above was the norm, it certainly isn’t today, neither is it acceptable. America’s ‘comedy queen’ recently visited Israel. Below is a clip from a ‘comedy show’ she took part in on a local cable channel. Perhaps it’s good she refused to heed the call to Boycott Israel, how else would we find out how stupid she really is … the show she appeared on is as stupid as she is needless to say. This is the day, according to their faith, we shall happily perish in; most of the Jews will die in Armageddon – the final battle of between good and evil – against them, just so that Jesus, their savior, may finally rise from the dead. And the handful of us who survive will carry out the thousand-year vision by accepting the rule of another God. This is the vision that rabbis, settlers and other sorts of nationalist zealots are cooperating with and spreading a red carpet at the messiah’s feet. Enjoy the following, written by Joe Hill in another era but about the same sort of nutters…. Rabbis, settlers and others are cooperating with the former Fox TV personality’s belief that most Jews will die in Armageddon so that Jesus can rise from the dead. With backing like Beck’s you can’t go far, but you can go too far. Barring last-minute delays, you can go with him all the way to perdition, via Armageddon. 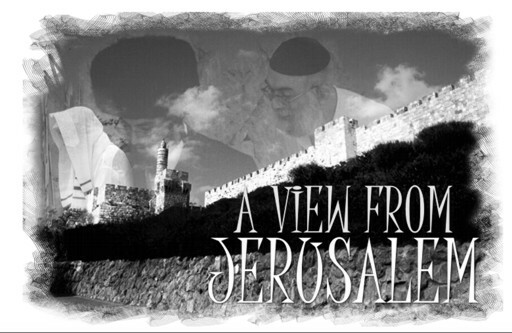 The chafing Zionist-Christians and evangelists no longer have patience to wait for doomsday. Glenn’s wandering circus came to town – to Jerusalem – on Wednesday, after a performance tour. The former D.J. took over Caesarea as well, to the envy of local stand-up artists. But Wednesday night’s rally was the peak, when the charlatan-entertainer-mediaman’s band saluted his and new-star Danny Danon’s Israel. Even the chief rabbis – considerable nationalists in their own right – said a preventive prayer for fear his missionary messages would be too blatant. Glenn promised to soften them. It was meant to be the mother of all rallies, yet it was clouded by a light shadow of orphanhood. The Republican candidates for the U.S. presidency all played hookey at the last minute. Tea Party Congress members stayed home to have a cuppa and make fools of themselves. The well-known movie actors disappeared, leaving only Jon Voight, who would no longer be remembered had he not been Angelina’s dad. The American Jewish community was prominent in its absence. All it needs is to be associated with Beck. Even in normal America – there is still such a nature reserve – the born-again Mormon is seen as a problematic figure who taints anything he touches. Even the rightist-conservative Fox News channel fired him two months ago for making obscene statements. He called Obama a “racist” who has a problem with whites and made Holocaust slurs, diminishing its memory and meaning. A poisoned bird is whispering that this second Joe McCarthy only came to Jerusalem to rehabilitate his collapsing status in Washington. “Haaretz” correspondent Natasha Mozgovaya gathered selected tidbits from Beck’s doctrine. But Bibi, who welcomed him like royalty, has not yet understood that a man is known by his friends as well, and support from Beck is a sign of loneliness and weakness. The notorious commentator accused the victims of September 11, 2001 of “whining.” He compared Reform rabbis to radical Islamists, saying they are “less about religion than about politics.” The Norway-camp teenagers, 68 of whom were murdered, remind him of Hitler Youth. He also had something to say about the tent protest in Israel. He finds its slogans similar to communist propaganda. It’s not only Beck and his utterances. His partners are also an indication of what he is. First and foremost Pastor John Hagee, who was the keynote speaker on Tuesday in the Caesarea amphitheater and was applauded like the evangelist preachers in their trance churches. 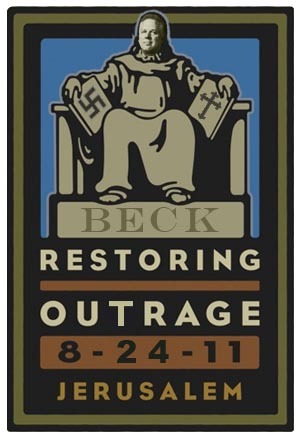 Beck, Hagee and their swarm are anti-Semites, who are not even aware of their anti-Semitism and the extent of its ugliness. Or maybe they are. In recent years this anti-Semitism has not been directed mainly against Jews, for they have found the Arab substitute for it. Now they are using the Arabs to scare Israel and the Muslims to scare the world. And the white, Aryan lion will devour them and their undercover envoys such as Barack Hussein. The visit ended yesterday, the circus is folding its tent and moving elsewhere. Let’s pray it will not return soon. Mr. Beck, don’t come back. We’re not short of dangerous wackos here. 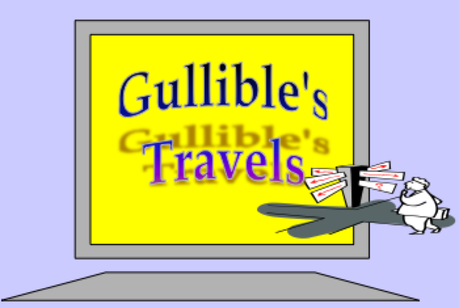 It didn’t take long for a new parody to appear, once again STEALING copyrighted music. Even if YouTube removes it for that reason, it will still be online as is the one above which was removed. At least, that’s the position taken by Psycho Gal at the Jerusalem Post…. THE EXTRAORDINARY intolerance of the Left for Israel is on full display among the participants in the so-called “flotilla.” The purpose of the flotilla is to break international law by providing aid and comfort to Hamas-controlled Gaza and to weaken with the intention of ending Israel’s lawful maritime blockade of Gaza’s Hamas-controlled coastline. As Ehud Rosen exposed Thursday in a report for the Jerusalem Center for Public Affairs, this year’s flotilla is organized by Hamas and the Muslim Brotherhood with the active participation of leftist anti-Israel groups. In their behavior, participants in the flotilla from the Obama-aligned Code Pink group and sister organizations ape the behavior of UN Secretary- General Ban in celebrating Iran’s provocative conference on terrorism, and overseeing North Korea’s ascension to the head of the UN’s Conference on Disarmament’ and Qatar’s and Iran’s leadership of the General Assembly. While emptily mouthing slogans of tolerance, all these adherents to the rule of the “international community” embrace the agenda of the most violent, intolerant, totalitarian forces in the world. Not only do they embrace them, they serve them. It doesn’t take much to tear off their flimsy mask of sweetness and light. Pity so few can be bothered to do it. Well, it’s NOT! We are damn serious about it and have been waiting way too long for it to become a reality. The pompous attitudes displayed in zionist circles are reaching out to the entire world for this never to happen. 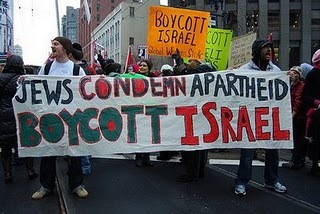 Total denial of the crimes committed against the Palestinians are unfortunately taken as fact by many powers that be…. 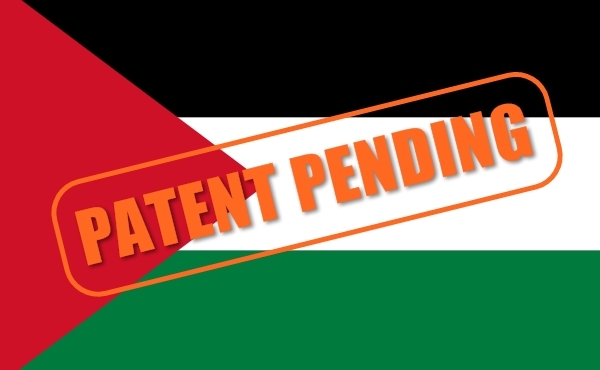 But, daily we see more and more countries supporting the creation of a Free Palestinian State. Meanwhile, the zionists themselves produce ‘comedy skits’ about the situation, as can be seen below…. just remember, “He who laughs, laughs last”!